Facebook introduced its lookalike audiences ad-targeted feature last March, allowing marketers to reach out to potential customers with similar characteristics to their current customers, and a little over one year later, the social network announced that the feature has been expanded to brands’ website visitors, mobile application users, and users connected to their pages. 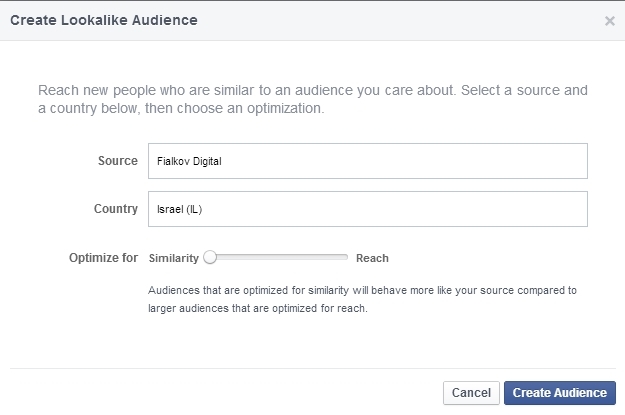 Facebook’s custom audiences and lookalike audiences ad-targeting options work off hashes, or bits of text that uniquely identify data (such as email addresses) but are designed to protect against reverse engineering that would reveal those data, so no customer information is shared with advertisers or any third parties. Find more people who look like your website visitors: Say you’re an online florist that wants to reach people similar to those that made purchases on your website. Now you can use data from your Facebook pixels (Facebook conversion pixel or the custom audiences for websites pixel) to reach people who are most similar to people who previously made purchases on your website. Ecommerce company Shopify saw a 2X decrease in cost per lead when using lookalikes of its website visitors. Find more people who look like your mobile app users: Perhaps you’re an app developer that’s looking to find more people to purchase car rides in your rides-on-demand app. You can now create lookalike audiences based on people who have previously purchased taxi rides in your app and reach those audiences with mobile app ads. Find more people who look like your Facebook fans: For many businesses, engaging customers and prospects in ongoing conversation through their pages is an important part of their marketing strategy. These advertisers can now use lookalike audiences to reach people like the fans connected to their Facebook pages. UPDATED: Reader Or Fialkov of Fialkov Digital shared the screenshots below with AllFacebook. 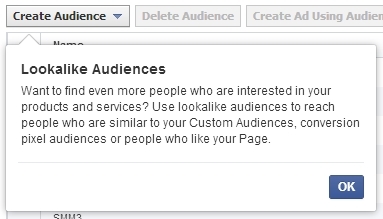 Brands on Facebook: Have you used lookalike audiences and, if so, will you try out these new features? Image of twin brothers and sisters courtesy of Shutterstock.